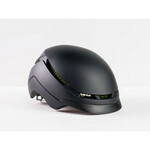 An e-bike approved commuter helmet with great fit and feel and the advanced protection of WaveCel technology. 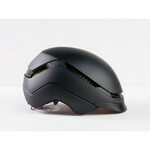 Bontrager Charge WaveCel Commuter is a fashion-forward helmet that earns top marks in style and safety. It’s perfect for commutes, e-bike rides and everyday adventures, and it's built with the most advanced helmet safety tech available so you don’t have to choose between fashion and function. WaveCel is a collapsible cellular structure that lines the inside of the helmet. This Bontrager-exclusive technology disrupts the safety standards that the industry has accepted for over 30 years. Bikes are getting faster but luckily WaveCel technology protects you as speeds increase with new E-bike technologies so you stay protected and are ready to go as fast as your bike lets you.